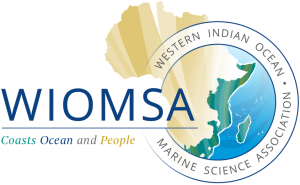 The Western Indian Ocean Marine Science Association (WIOMSA) promotes the development of marine and coastal science in the region of the Western Indian Ocean. WIOMSA makes grants for research and capacity building. WIOMSA serves seven countries of Sub-Saharan Africa, in addition to the French department of Reunion. Membership in WIOMSA includes government institutions, national and regional NGOs, and research and academic institutes. Research Grants. WIOMSA promotes research in marine science through two programs. The Marine Science for Management (MASMA) offers competitive grants to support research in the region, and to promote professional capacity. MASMA encourages and supports multi/trans-disciplinary research; regional research collaboration; partnerships between scientists from within and outside the region; and professionalism and competence of researchers in designing and coordinating research projects. The Marine Research Grant (MARG) strengthens capacity to conduct research and to increase understanding on various aspects of marine sciences. It offer grants for research in the applicant’s home country; research outside of the applicant’s home country; and travel to participate in regional and international fora. APPLICATION: WIOMSA publishes a web page for proposal submissions to MASMA and MARG. Applicants fill out an online application to present their biodata, educational and professional qualifications, and statements of support by employers and host organizations. Some programs have application deadlines. Note: Reunion (an overseas department of France) is also a member of WIOMSA. WIOMSA’s News Updates include information about calls for proposals, course announcements, and other opportunities. Publications include a journal, a magazine, policy briefs, books, training manuals, and others. WIOMSA is a partner with the University of Rhode Island in WIO-COMPAS to train and certify professionals for the management of marine protected areas. WIOMSA provides contact information for its Secretariat in Zanzibar.